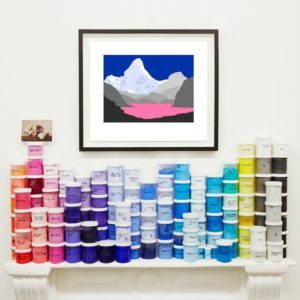 David Wightman (born 1980 in Stockport, Greater Manchester) is an English painter known for his abstract and landscape acrylic paintings using collaged wallpaper. A graduate of Fine Art at Middlesex University (2001) and an MA in Painting from the Royal College of Art, London (2003). Solo exhibitions have seen Wightman work with in Duran|Mashaal Gallery Montreal (2018), Halcyon Gallery (2014), Cornerhouse in Manchester (2009) and William Angel Gallery in London (2008). 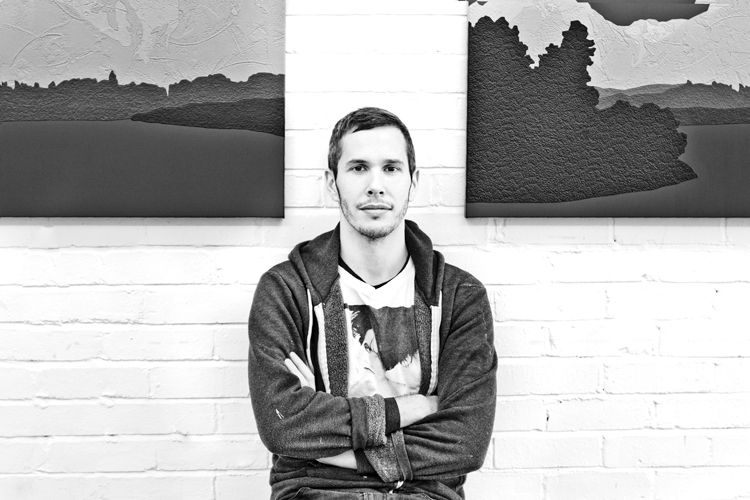 Notable commissions include a six month residency in Berwick-upon-Tweed following being awarded the prestigious Berwick Gymnasium Arts Fellowship, a 2013 selection by curator Mariele Neudecer of the House Arts Festival to create a site-specific painting for a disused pavilion on Brighton’s seafront and a 2014 collaboration with fashion label Akris. 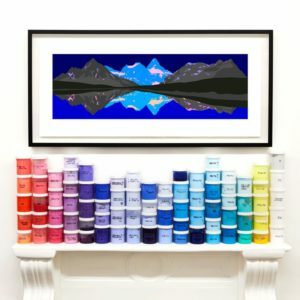 His work has featured in Harper’s Bazaar, The Guardian, The Times, The Telegraph, The Financial Times, The World of Interiors and Money Week. 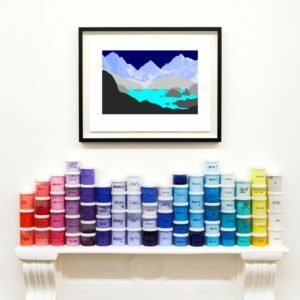 We have been long-time admirers of David Wightman’s work and are incredibly privileged to be one of the few galleries in the UK to represent this impressive London-based painter.